I have this compulsive habit of getting my hopes up really high. Today while I was working at the college there was what looked like at the time a huge snow storm coming in and I was literally like a 5 year old about it. But regardless of how hard I screamed and pleaded there was snow snow that ever really stuck. Last night we were sitting with some friends just talking or as we have started calling some of our time together, we were having a “therapy session”. I’m not really sure how people make it in life without good friends. Real, true friends are a gift from God. We all need those people in our lives that when something bad happens, one of your first thoughts is “I need to talk to ______”. Aristotle said that friends were “a single soul dwelling in two bodies.” That’s why you need to reach out to them in your time of need, because they are a part of you. You don’t have to try and put on for them, you can just be yourself. A.A. Milne said that “It’s more fun to talk with someone who doesn’t use long, difficult words but rather, easy words like ‘What about lunch?'”. You can just be you, because they know you and still love you. If you are having to change who you are to have a friend they really aren’t your friend, they just like a made up person. 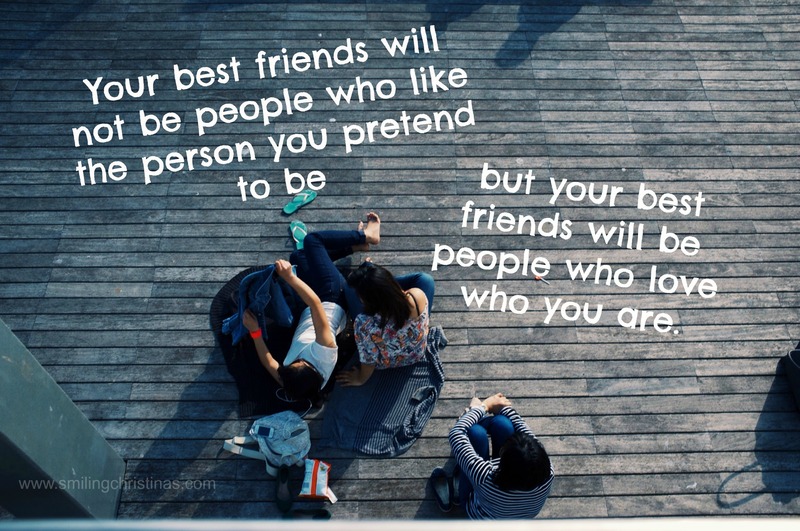 Your best friends will not be people who like the person you pretend to be, but your best friends will be people who love who you are. What do you actually do on purpose? People don’t just stumble into success. What are the chances that you will just wake up one day and find yourself successful or spiritually mature? My math isn’t great but I am going to lean towards around 0. We must intentionally get up each morning and decide that we are going to serve God. We have to decide that we are going to grow as a Christian. God is very purposeful about everything that He does. He doesn’t do anything “just because”, He does everything because there is a purpose behind it. So we have to make a few simple decisions every day. We have to live on purpose. Christ has given us a new life in Him and the only reasonable thing we can do is to try and live our lives for Him. But it takes a decision daily to do this. It is not a natural thing to live for someone else so we have to make the decision everyday to purposefully live for Him. So are you making the decision to live for Him? One of the biggest battles we will face when trying to live for Him is trying to keep our mind where it needs to be. The entire world is designed to distract us and to keep our minds from focusing on anything of any importance. If we keep our mind on God and the things that He wants from us, it will actually begin to affect how we live. A mind on God builds a life with God. Worshiping God shouldn’t just be something we fit in or do when we have a free second. We should set time aside each day to worship God. He is worthy of everything so I feel like we should make Him worthy of a spot on our schedule. You have to make the decision every day to worship God. It all comes down to a decision. 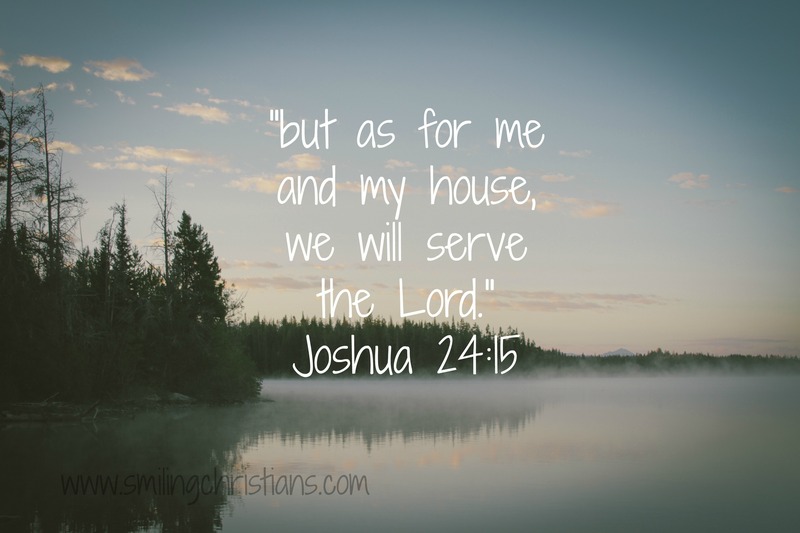 Will you serve God or will you serve your own motives? We have a perspective problem in culture today. We are looking at a lot of things the wrong way but one of the biggest things we need a new perspective on is our view of ourselves. We are faced with 2 possible facts about ourselves. The issue is that we can find both truths in the Bible. So are they disagreeing with each other? They are right there in black and white for us to read and figure out what to do with it in our own lives. Will we live a beat down life or will we live life to it’s very max. I think the answer is very simple. It’s all about context. The verse in Isaiah is talking about who we are when we try and seek God without Jesus. This is our works based self. The verse in Ephesians is what you can do when you are living firmly in Christ. When we try and live by just doing good works our best really isn’t worth much at all, but when we live in Christ there is nothing that can stop us. So with that out of the way I want to give you some really deep theological stuff. 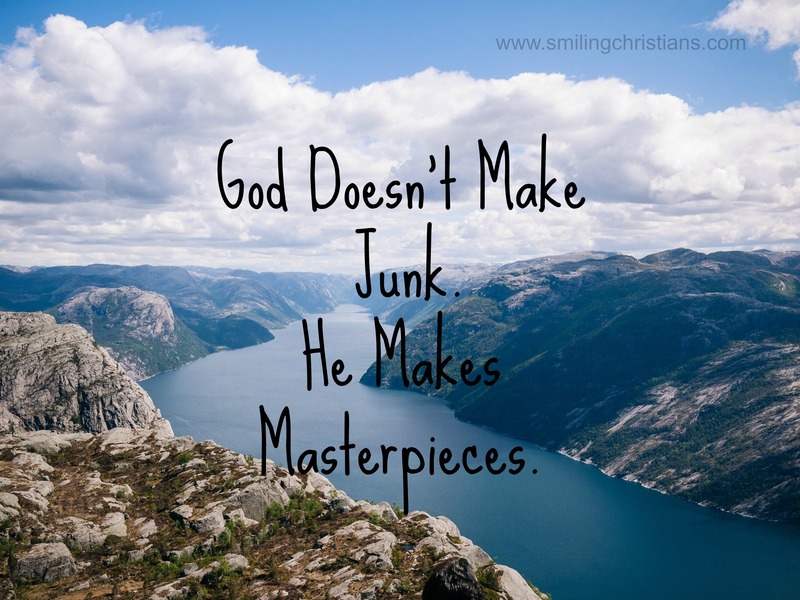 God doesn’t make junk. He makes masterpieces. The greatest artists that have ever walked the face of the earth have only created a couple pieces that honestly can be called a masterpiece. Whereas God creates a masterpiece every time a child is born. See yourself through God’s eyes, you are a living, breathing masterpiece. I have set hear for hours just trying to figure out what to write. You would think that after the most exciting and jam packed year of my life that I would have plenty to write about. I am drawing a blank. I feel like this first post should be something special. Something Earth shattering. I feel like you should read this and leave with your mind blown. But I am beginning to doubt it. I am starting to think that this is going to be the most bland post there has ever been. Here is my fresh start. It’s bland and its honestly not that special. It’s really a post about nothing. This is my Seinfeld of posts. So now that we have asked the question, what’s working in your life, there is a much harder question to ask yourself. It’s not that it is really difficult to figure out, especially after looking at what is working in your life but this is the area of your life where there are hard decisions to make. None of us ever want to admit failure at something or that we have been doing something wrong. But none of us are perfect. So we have to be honest with ourselves and admit there are some things in our lives that flat out just don’t work. Here is the key though when looking at things that aren’t working. When you see that this activity or relationship isn’t exactly working, don’t get the axe out immediately. Try a different approach before doing anything drastic. If it is a relationship that is the problem in your life, change the relationship. Take a look at the importance of it to you and time it consumes and adjust it if needed. If the relationship needs more time to be successful, then put more time into it. Also, you might have to make the hard decision and cut some of the time from the relationship to do what you need to do if you want to become who you want to be. (Disclaimer: Your marriage should always be your top priority, don’t tell your spouse you need some “you” time for a hobby or goal. This should really be aimed towards friendships.) If your friends are really your friends they will want you to be successful and accomplish your goals. They might not just be OK with it but may chip in and be able to help you somehow! My biggest problem that has needed to be changed is TV. I probably watch less TV than most people but still more than I need to watch. It’s just hard to get motivated to do something when you are laid out on the couch and your favorite show is on. But you might have to trim the amount of shows you watch to make sure you have time. You might have to stay up a little later to get them in. But don’t let your TV be what stands in between you and your dreams. Wow, that just sounds crazy when you say it out loud. Whatever it is that isn’t working in your life and is holding you back, change it. You would be surprised how many things are just a little tweak away from being an asset! All that being said over the next 3 days I want to share with you 3 questions that can change how you live. They are simple questions. But isn’t simple what we really need. Isn’t there enough complicated stuff going on in our lives? So let’s take a step back from your life for a second and just look at it. Let’s look at what is working in your life. 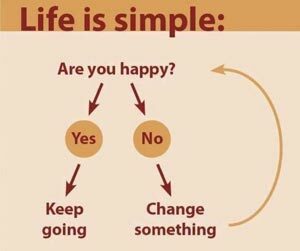 It sounds really simple, right? We can’t even figure out what is going well in our own lives without doing it intentionally. We aren’t just sitting on the couch thinking to ourselves, “these 4 hours of watching TV has really made me a better person!” That’s why it is so important to take a step back and get more of an aerial view of your life and see what is going well and what is taking you in the direction you want to go in. Also when I say look at what’s working that doesn’t mean just take a snap shot of the activity you are doing right then and judge it, look at everything. And only after you have looked at all these things closely, decide what is helping you. Decide what in your life you absolutely have to keep the same because it is helping you grow into the person you want to ultimately become. Ask yourself what’s working and then make sure you keep those things in your life.